After more than 56 years selling fine Communion Suits for boys, you might think it is time to relax. But boys keep growing up and reaching the stage of First Communion and needing boys First Communion suits and we can know of no source for fine boys suits as nice as our suits, so we proudly continue the tradition. The term fine Comunion suit is a common misspelling, although it may be correct in some languages. We are especially proud of our navy blue Italian suits for boys having Communion this season, we have incorporated every quality improvement that exists so you can be assured of the finest boys suit for his First Communion. Our boy's suits for Communion are Made in Italy and incorporate the finest features ever used in boys suits including Tasmanian wool and ultra smooth lining. What this means to the Boy wearing the Communion suit is a comfortable experience, letting parents relax and be proud rather than watch their young man fidget through the experience of wearing a cheap, stiff Communion suit. We also feature fine silk blend white Communion Suits for Boys. These are specially made for our clients on the workbenches of Patrizio Malip at the Malip factory on Via Sportelli in beautiful Putignano, Italy. Please click here for details. These beautiful suits are white without the cheap look of most white polyester suits sold in the USA. You are invited to visit our New York shop and try on our fine, Italian Communion suits in person or phone us and we will even send you a choice of navy suits for examination. 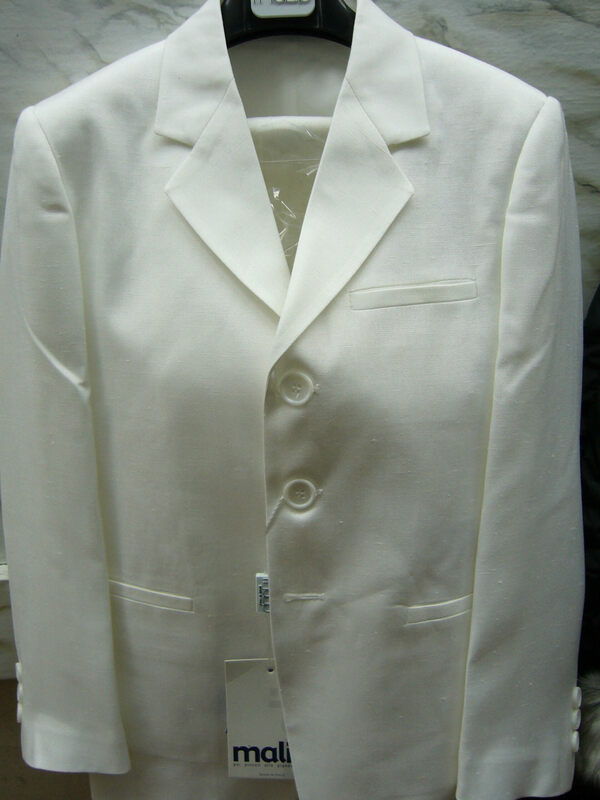 orders for this year have begun with first production of Italian White communion suits now arriving at our stores.